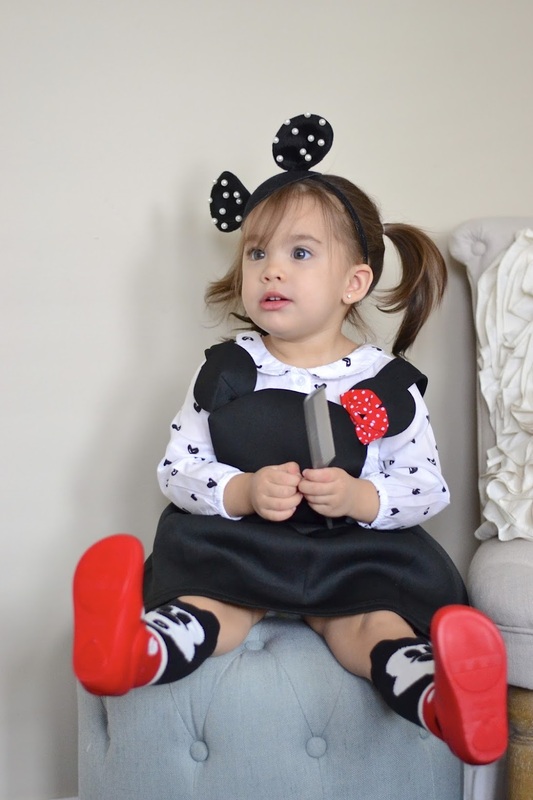 For Emme's 2nd birthday party I knew I wanted to find the perfect Minnie Mouse outfit and I am so happy that I did, all thanks to Stylin Sophie. 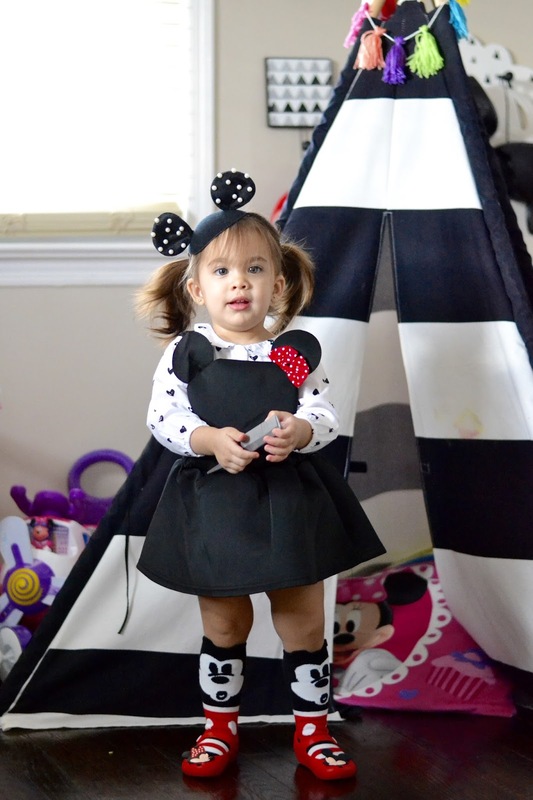 I am still obsessed with her outfit, it was perfect for her age and comfortable enough for toddler play. As a fashion blogger, one of my priorities aside from the kids having a good time at our children's parties, is what are we going to wear? This time around we all wore Mickey & Minnie outfits and I love how we all looked. Personally, I didn't want to wear your typical Mickey and Minnie t-shirts that you find everywhere. 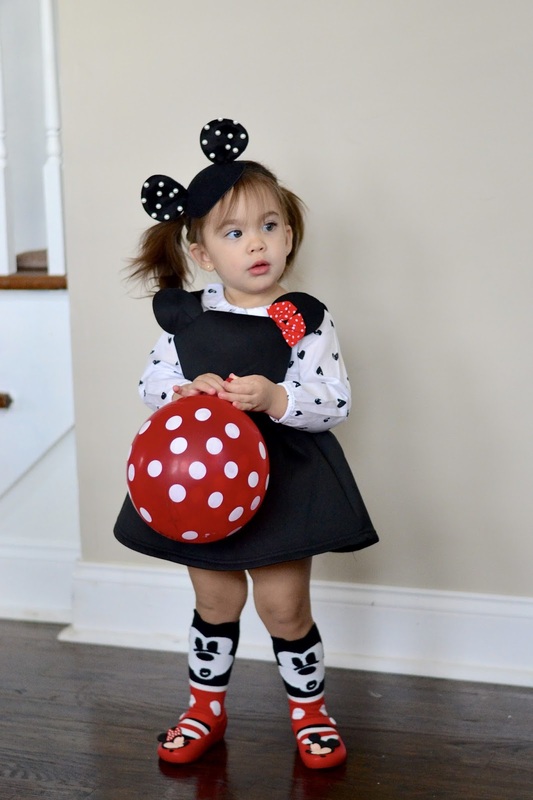 I wanted Emme to wear something different, stylish and perfect for her big 2nd birthday party. She was the star of the show and I think she looked the part. Ben's shirt is from Target. 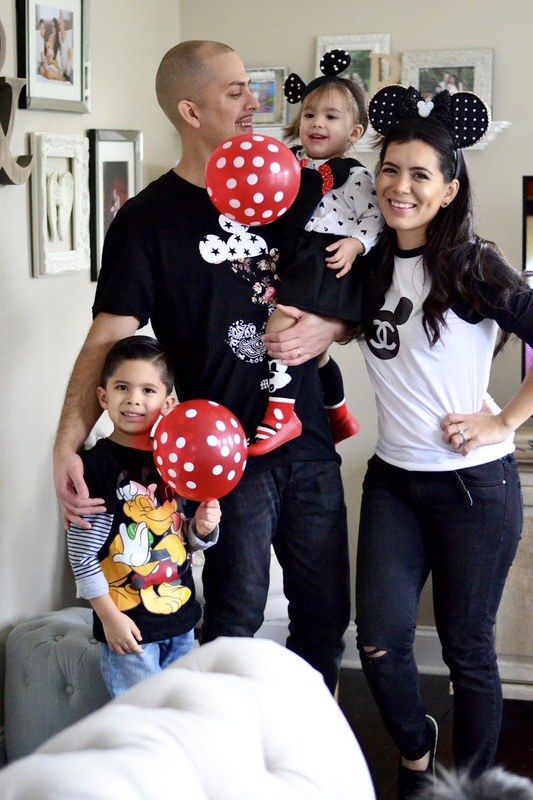 If you love matching or coordinating with your family for your kids' birthday parties or any occasion, I recommend you look at online children's boutiques, they typically have really cute pieces that you aren't able to find at the mall and I love that. A big top is to always keep their comfort in mind, an uncomfortable child will not have a good time. Kids are kids and they are going to play and then play some more but that doesn't mean they can't look cute and stylish while having a good time. 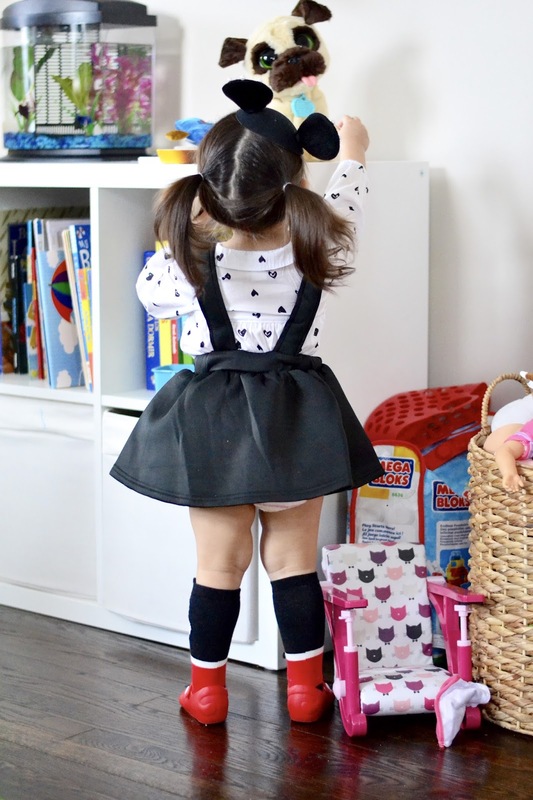 Right now there are so many adorable Minnie Mouse (and Mickey Mouse) kids' outfits everywhere - you can find them at places like Stylin Sophie, Gap Kids and H&M. I ended up ironing on my Chanel inspired Mickey t-shirt two days before the party. I purchased the baseball shirt at American Apparel, bought the iron-on transfer sheets at Hobby Lobby and printed the design at home and ironed it right on. My Minnie ears where absolutely stunning. 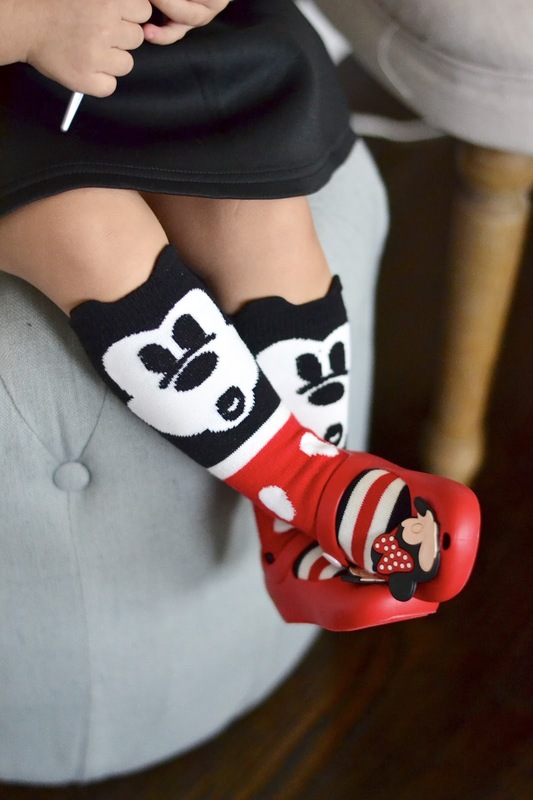 The detail on them is like nothing else and I can't wait to wear them on your trip to Disney this year. They are from Maus Couture, to say they the owner is talented is an understatement. She custom handmade my Chanel inspired Minnie ears and I can't thank her enough. They were decked out in pearls, tweed, gold chain and black sequin details, very Chanel worthy. Maus Couture has a variety of stunning Mickey and Minnie ears, from Belle and Ariel to Cinderella and more. I will treasure my Chanel Minnie Ears forever. I can't wait to plan Ben's party this year but thankfully I have about 7 months for that. Happy party planning!